Extra-small abodes—which can be had for a song—are becoming a big deal all across America. A builder and his wife who have embraced the movement offer advice on downsizing your load and designing your miniature dream house. 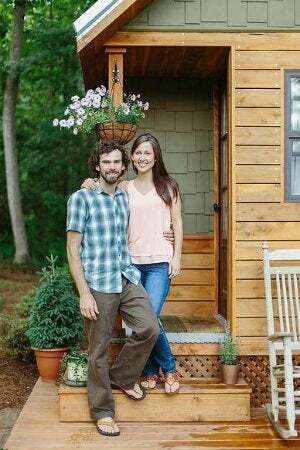 The average American spends a third to half of his or her income just putting a roof overhead, so it’s no surprise that the tiny house movement has caught on in a big way. It sure did with Travis and Brittany Pyke of Chattanooga, Tennessee. Opposed to pouring thousands down the drain in rent, Travis—a carpenter and construction worker—built the couple a pint-size bungalow in 2013. “What other young newlyweds can own their own home without a mortgage?” wife Brittany enthuses. About a year later, Travis and two friends partnered up to launch Wind River Tiny Homes, creating downsized dwellings for others for prices starting at $40K. So exactly how tiny is tiny? Between 100 and 300 square feet for a trailer-ready home and 500 to 600 square feet for one with a permanent foundation. Because living large in a little space does require adjustment, we asked the Pykes to share their strategies for happily ever after in an itty-bitty abode. 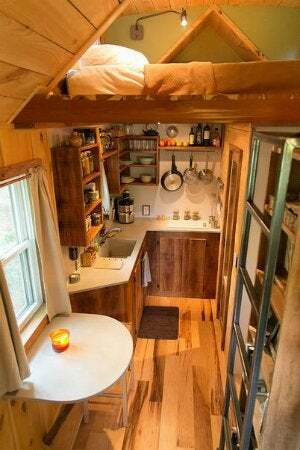 And speaking of small stuff, the average utility bill for a tiny home ranges from $30 to $50—electric, water, sewage, just about everything but your cable and Internet. “I wouldn’t have been able to start this company from its bootstraps if I didn’t have minimal financial obligation each month,” Travis says. 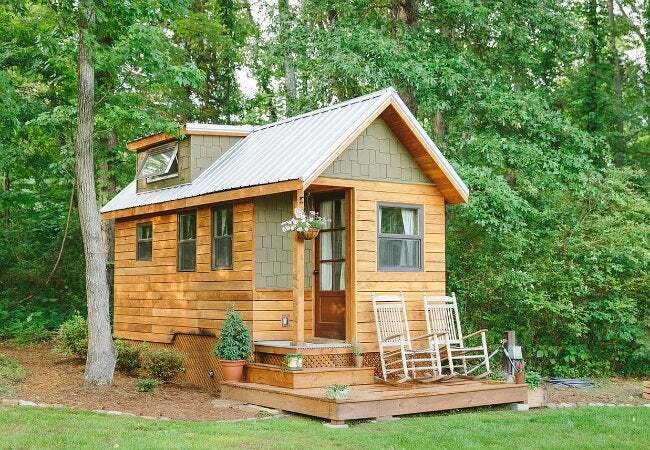 One of the big hurdles in the tiny house movement is—literally—where to live. “Zoning in some places is completely against it, yet in some cities there are ways around the zoning to make it legal,” Travis says. “What’s exciting is that smaller towns and cities—including Spur, Texas, and Walsenburg, Colorado—are restructuring zoning codes and labeling themselves tiny-house friendly.” Wind River Tiny Homes is also working to establish tiny home communities in both urban settings and rural settings. “We are passionate about creating legal spaces where ‘tiny housers’ can park their dream homes and live in a like-minded community,” Travis says. 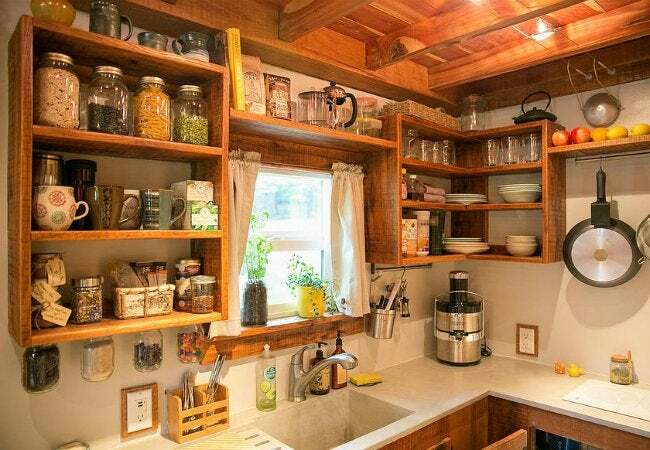 The key to living comfortably in a tiny house is keeping the space organized and tidy. If your own home could use some decluttering, check out our video below on 14 household items to trash without thinking.